You can make a beaded antique key necklace with an old skeleton key. Keys have a rustic, vintage appeal that looks great when mixed with sparkly beads. This LoveToKnow Crafts slideshow will show you how to create your own beautiful necklace. To get started, select a small antique key, and wire wrap it using sterling silver wire. The right beading tools make your project go more smoothly. To create your necklace, you'll need pliers, end cutters, beading cord, and wire. Select the beads you'll need for your necklace. It's fun to set off the rustic antique key with a selection of sparkly or finished beads. This key necklace uses oval-shaped iron pyrite beads, lapis lazuli chip beads and round beads, round ice flake quartz beads, and peridot chips. Choose a few beads to set off your key and string them on your wire. Create a wire-wrapped loop to attach your key to the necklace. Use a beading board to lay out your necklace. Beading boards make it easy to rearrange your beads for the most pleasing design. Arrange your beads to create a necklace that is the length you prefer. Many people like necklaces that are about 16 to 18 inches. String the beads in the order you've chosen, and attach a clasp. Your beaded antique key necklace is now ready to wear! 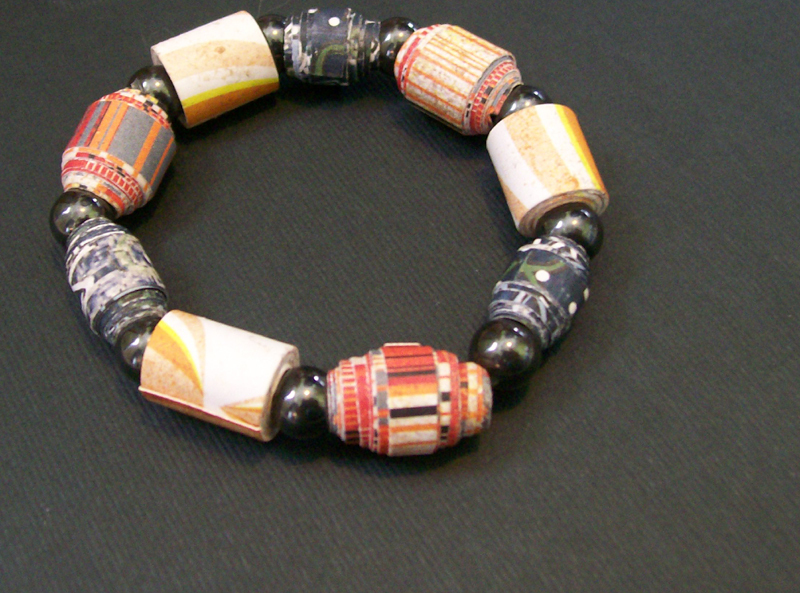 For more jewelry making project ideas, please review the slideshow Making Bead Bracelet Patterns.